JOX 2: ESPN 100.5 - WJQX is a broadcast radio station from Birmingham, AL, United States, providing Sports. I want to report a correction of "Live 100.5". It is now a sports talk station, and it is an ESPN Radio one as well, and it is now called "ESPN 100.5 Jox 2" WJQX-FM. Make these changes and correct and update this station, and carry it's live stream. 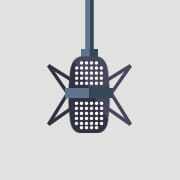 Check out Rock music in Helena, AL, United States by tuning in Live 100.5 - WWMM. This is one of the best sports radio stations in the world because it comes from The Jox Network which is gaining reputation as one of the biggest names in the sports radio genre. This is perfect.